Are you new to bookmaking? Curious about where to get new tools? Do you just enjoy trying out new supplies? Join us on Tuesday, June 17th at 5pm for a guided trip to Talas. Relied on by artists, bookbinders and conservators in New York City and beyond, Talas is the most comprehensive source for bookbinding supplies here in the city. Get an inside look at the variety of marbled papers, leathers, parchment, tools, and equipment available, and learn more about how you can use their resources for your own work. Bookbinder Biruta Auna will give us some examples of how she uses their specialized materials in her practice. We’ll meet at their Brooklyn location on Morgan Avenue. To get you excited for the visit, you should take a look at this article here that the NY Times wrote back in 2012 about Talas. And register here for the tour! Summer means being outdoors, fireworks and barbeques, which are coincidentally things that are really bad for your books. Luckily, you can learn to protect your valuables in our box-making workshop, Protect and Cover! Learn the principles of box-making, and come out with two different kinds of boxes. This workshop will introduce measuring and cutting boards, so boxes can be tailored to specific objects. Materials are provided, including pre-cut boards, so just slather on some sunscreen and show up! This workshop runs on June 14-15, from 10am – 4pm. A classic way to enjoy the summer is to commune with nature. Why not commune in our Natural Dyeing for Book Artists workshop? This workshop teaches the basics of preparing and using natural plant dyes on fabric and paper in a range of colors. Students will have the chance to dye swatches in a range of colors, and bring buy modafinil turkey their own samples to test in the dye pot. Learn to add beautiful colors to your works in an accessible, sustainable way. This workshop runs on June 21-22, from 10am – 4pm. One of the best parts of summer is the new memories we make. If you’re looking for a way to cherish those memories while creating a beautiful book, why not make a Collaged Artist Book? The workshop will teach how to use your materials to create a simple, easy-to-share collaged artist book. Bring any materials you might want to include, such as drawings, photos, papers, etc. Learn how to create successful content consisting of collage and layout signatures. We’ll show you how to bind and finish your lovely collaged works with a Coptic stitch binding method. This workshop runs from June 28-29, 10am – 4pm. On top of these weekend workshops, seats are still available for our June printmaking and letterpress printing classes and labs. Check out our class listings to register and get more information on these and other workshops! 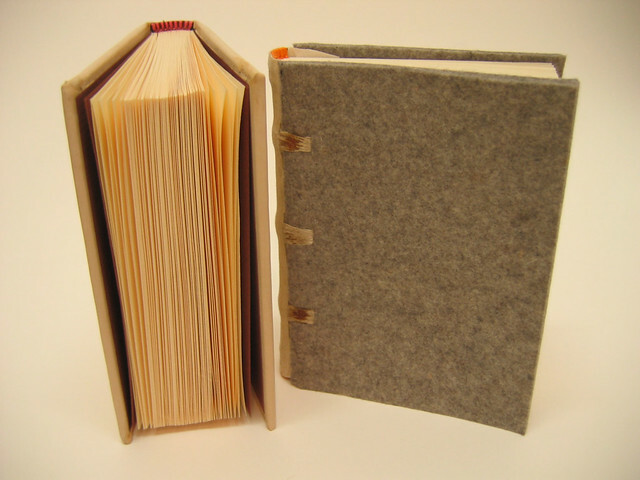 The Center for Book Arts is pleased to welcome back Biruta Auna to teach a class on soft cover leather-bound books. Auna is a Latvian artist-designer who graduated from the University of Art in Tallin, Estonia and is a member of the Artist’s Association of Latvia. Her work has been exhibited in many European countries and the United States, and some of her designs are part of the permanent collection of the Museum of Decorative Arts in Riga, Latvia. She lives and works in New York City. She previously spoke about her work and life when she was interviewed for this blog. Auna specializes in decorative techniques in leather, which she uses in here bound journals, albums and boxes. She will be sharing her experience in a buy provigil hong kong weekend class on March 29th and 30th(Saturday and Sunday) from 10am to 4pm. No previous experience in bookbinding or leather working is needed to create a beautiful soft leather bound book in a weekend. Add surface design to the leather covers using linoleum relief cuts to create texture, image and color. Decorative endpapers and a deckled edge text block will complete the aesthetic of the book. By the Sunday afternoon, you will have made one or two fully designed hand-bound leather books. Here are examples of Auna’s beautiful leather work to inspire you to come create your own leather bound books! You can learn more about Auna’s work on her website, http://birutadesign.com/ and sign up for the class here. The tacket binding is one of the most beautiful of the historical models to reproduce. Defined by coils of thread snaking up and down its spine, it is simple to construct and dazzling to behold. This form of binding has been used since the the second century AD, in Nag Hammadi bindings, using leather and papyrus. Tacketing is a form of exposed binding, in which each folio is sewn directly onto the spine, rather than combined into a single text block, with visible buy modafinil mexico stitching. Thread is then wound around the spine stitches, creating a distinctive look. To learn this technique, sign up for Tacket Bindings: 2Books in a Box. The class is being taught by Barbara Mauriello on March 15thand 16th, from 10am to 4pm. We’ll make 2 chunky books displaying different sewing patterns, both sewn into handmade paper wrappers. A sturdy slipcase, constructed of handmade paper pasted over light-weight boards, provides an additional surface for embroidery as well as protection for each set of books. The classes mentioned in this blog post were taught in the past. It’s possible that we are offering a similar class now or in the future. Please view the Center for Book Arts class listings or Contact us for more information. About a year ago we clarified a tricky bookbinding term, concertina, by explaining that the name was used interchangeably to describe the type of book otherwise known as an accordion book. But we didn’t go to in depth about what an accordion book actually is. Well, if you have been wondering all this time, now is your chance to learn absolutely All About the Accordion, in an upcoming class taught by Barbara Mauriello on February 22nd and 23rd from 10:00am to 4:00pm. Some historians have theorized that accordion books were actually one of the very first forms of books with pages as we know them. Perhaps, the theory goes, people first started folding scrolls in order to transport the works and move between sections more easily. This may have led to accordion books, which in turn inspired the development of folios and other traditional book forms. In contemorary times, the accordion is perhaps the most versatile structure in the world of bookbinding. As a full-page spread or as a minutely-folded piece of paper, it displays both pictures and words in an immediate and Zen-like game of mountains and valleys. Students will spend 2 days folding paper, making both traditional and new-fangled books. After the bookbinding they’ll make a slipcase entirely out of handmade paper, to hold their set of models. Expect to construct 5 completely different books, which will serve as prototypes for future projects. In Bookbinding III, students will continue an overview of traditional binding structures using unique and alternative materials; the limp vellum, the K118, and a ledger binding. Vellum is a featured material in each-as an interior spine lining, or as sewing supports or as a cover material. A palimpsest /ˈpælɪmpsɛst/ is a manuscript page from a scroll or book from which the text has been scraped or washed off and which can be used again. 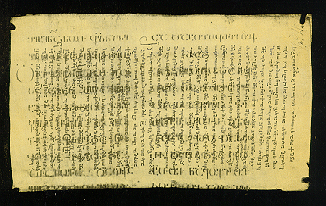 A Georgian palimpsest from the 5th/6th century. Vellum (made from calfskin) and parchment (made from a variety of animal hides) grew in popularity as a bookmaking material in Europe after about the 6th century and through the Middle Ages. Since it was such a durable material, it was easily washed then repurposed for a new text. Scarcity and the cost of vellum and parchment for new texts meant that older manuscripts were often recycled in this way. As time passed and the pages aged, the faint remains of the former writing would re-emerge, enough so that scholars can decipher the original writing. Sometimes the text is visible enough to be read by eye, but today scholars have tools such as ultraviolet light, x-rays, photographic and digital imaging techniques to help make lost texts legible. 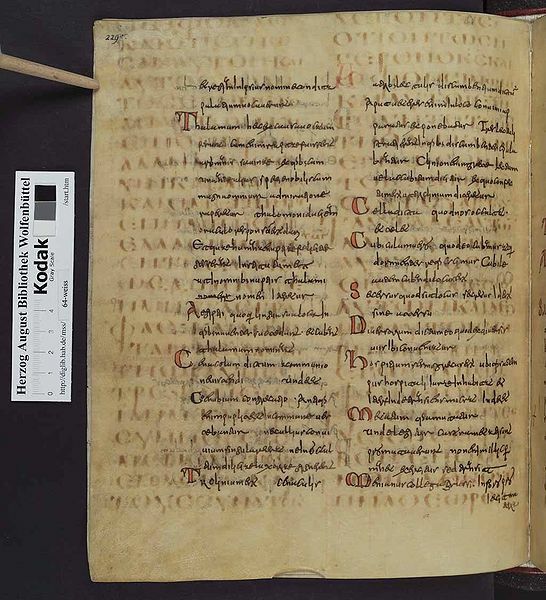 Many celebrated ancient Greek and Roman texts are only known to us via these kinds of overwritten manuscripts. Texts most likely to be reused included obsolete legal and religious ones, the kinds of things that are of intense interest to historians, but less useful to the average reader in the Middle Ages. Texts might be in foreign languages or written in unfamiliar scripts that had become illegible over time. The books themselves might have been already damaged or incomplete. Heretical texts were considered dangerous to preserve; reusing the materials was considered less wasteful than simply burning the books. And this fall, in the spirit of reuse and repurposing, students will be encouraged to examine their materials for qualities that suit a particular use, and to explore intelligent alternatives. Fabric, paper, plastic, Tyvek, Gore-Tex, felt, dental floss and neoprene are all possibilities that come to mind. If you’re ready to start exploring these options and your own creativity, sign up for Bookbinding III here! The class will be taught by Susan Mills from October 29 – November 1, Monday through Friday, 10am – 4pm.